WEST DES MOINES, IOWA - Aug. 14, 2018 - Igor, a leading provider of Internet of Things (IoT) smart building technology, received the first central UL 924 Certification for a PoE solution in the world from Underwriters Laboratories (UL), an independent product safety certification organization approved by the U.S. Government’s Occupational Safety and Health Administration to test products and issue certifications. Building codes require all emergency lighting to meet UL 924 certification, but until this year, there were no PoE platforms that provided an easy, low-cost solution for PoE lighting to meet UL 924 code. Even if using a PoE platform for lighting, a building would need to utilize a traditional system as well to maintain building code compliance. Traditional systems require batteries at each lighting fixture at a significant cost per fixture with additional costly maintenance to test and replace individual batteries. With the new certification, all Igor licensees immediately benefit from the certification and may offer Igor-Enabled UL 924 luminaries. With its UL 924 certification on its Patented Centralized Emergency Back-up system, Igor’s solution can be a centralized system for a less complicated, more reliable, and lower cost emergency lighting solution for commercial buildings. 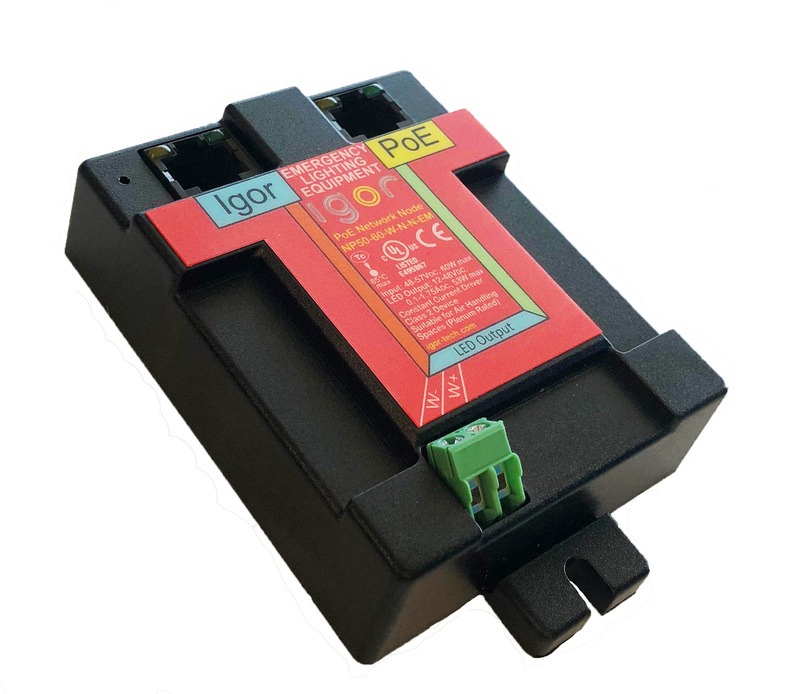 “UL 924 was recently updated to more thoroughly and specifically describe the testing protocols for emergency lighting controls such as the Igor PoE node. These enhanced requirements were developed to support the 2017 NEC revisions addressing directly controlled luminaires (Article 700) and power over ethernet (Article 725). Certification per UL 924 thus establishes confidence that installations of the Igor system will fulfill the expectations of both the National Electrical Code and the Life Safety Code, NFPA 101,” said Michael Shulman, Principal Engineer, Lighting, at UL. Want to learn more about PoE and the practical uses of a PoE building platform? Contact Igor for a conversation or a demo of Igor’s smart building technology today.